Integrated Assessment Models (IAMS) have helped us over the past decade to understand the interactions between the environment and the economy in the context of climate change. Although it has also long been recognized that adaptation is a powerful and necessary tool to combat the adverse effects of climate change, most IAMS have not explicitly included the option of adaptation in combating climate change. 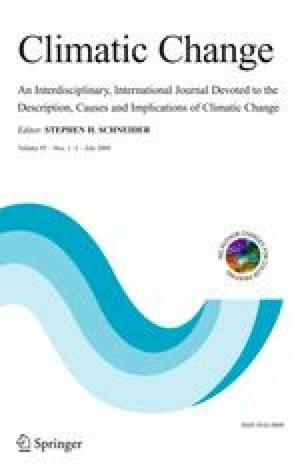 This paper adds to the IAM and climate change literature by explicitly including adaptation in an IAM, thereby making the trade-offs between adaptation and mitigation visible. Specifically, a theoretical framework is created and used to implement adaptation as a decision variable into the DICE model. We use our new AD-DICE model to derive the adaptation cost functions implicit in the DICE model. In our set-up, adaptation and mitigation decisions are separable and AD-DICE can mimic DICE when adaptation is optimal. We find that our specification of the adaptation costs is robust with respect to the mitigation policy scenarios and parameter values. Our numerical results show that adaptation is a powerful option to combat climate change, as it reduces most of the potential costs of climate change in earlier periods, while mitigation does so in later periods.